How Many Americans Go Camping? The 2013 American Camper Report, a new study out from the Outdoor Foundation, estimates that 38 million Americans—or 13 percent of Americans at least 6 years old—went camping in 2012. 2012 camping participation was at its lowest level over the last seven years, which had previously ranged from a high in 2009 (44 million participants) to a former low in 2007 (39.8 million participants). For 10 percent of campers, 2012 was the year of their first camping trip. The average participant went camping 13.6 days in 2012. On a regional level, New England and the Mid-Atlantic were at the lower end of the participation spectrum, with 11 and 12 percent participation rates, respectively. The “Mountain” region (Rocky Mountain and Southwest states) had the highest participation rate; 23 percent of residents six years or older went camping in 2012. 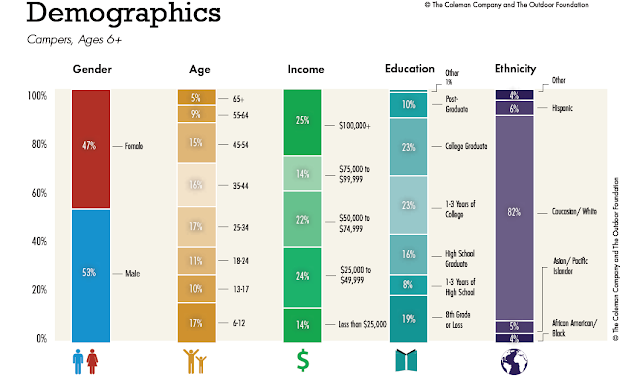 Some quick demographic highlights (full chart below). Gender-wise, campers were pretty evenly split: 53 percent male campers vs. 47 percent female. 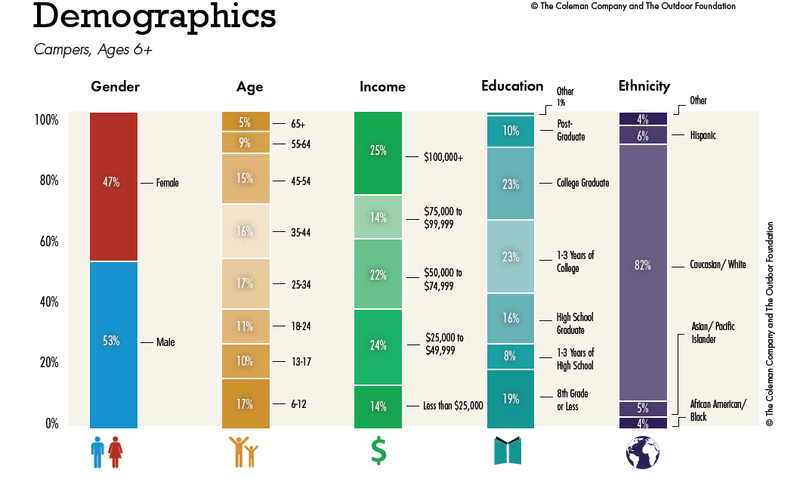 The median age of campers was 33 years old. Diversity remains elusive. 82 percent of campers identified themselves as white/Caucasian, 6 percent as Hispanic, 5 percent as Asian/Pacific Islander, and 4 percent as black/African-American. 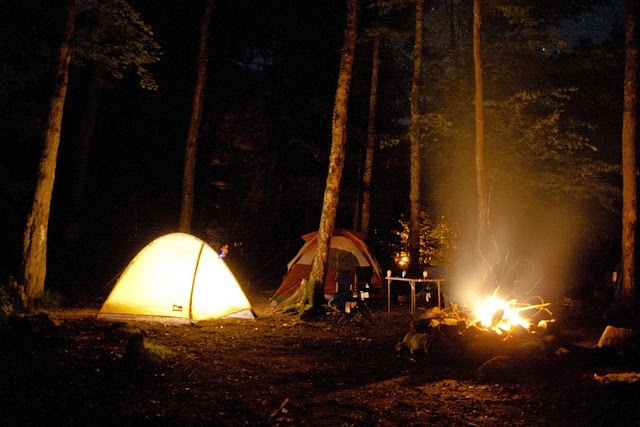 For this study, ‘camping’ refers to an overnight in a tent, RV, or campground cabin or yurt. Though most campers slept either in a tent (81 percent) or RV (16 percent), a small percent of campers (approximately 1 percent) slept without shelter or in a bivy. These bivy/no shelter campers were overwhelmingly male (94 percent vs. 6 percent female). Data for the study came from 42,353 online interviews conducted nationwide.